On the 26th May 2011 the EU Cookie Directive became law. The UK Information Commissioner's Office (ICO) gave UK websites 12 months to comply with the new Directive. The EU Directive is intended to protect the privacy of internet users - even where the information being collected about them is not directly personally identifiable. The changes to the Directive in 2009 were prompted in part by concerns about online tracking of individuals and the use of spyware. The rules are not designed to restrict the use of particular technologies but rather they are intended to prevent information being stored on people's computers and used to recognise them via the device they are using, without their knowledge and agreement. The Information Commissioner has ruled that implied consent is a valid form of consent. Please read this page carefully to see if you are happy to continue to use Essex Walks with cookies. If you are not, you can switch cookies off by adjusting your browser settings to stop it from accepting cookies (Learn how here). What Cookies are we using on Essex Walks? 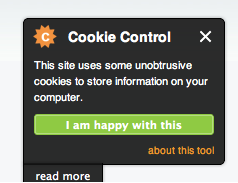 These cookies are necessary for the website to function and assist with the functionality of the website. They are used to draw routes on the interactive maps. Visitors can set their browser to block or alert them about these cookies, but some parts of the site will not then work. These cookies do not store any personally identifiable information. Cookies used: mapid, minx, miny, maxy, maxx, gmapstyle. These expire when you close your browser. These cookies are used by tools or functions supplied by third parties that are embedded on this website. Unique identifiers given to each computer to allow tracking of YouTube video views. Data is only used in aggregate. Ordnance Survey Openspace Map cookie to balance loads on their servers. metoffice.gov.uk uses this to track usage of the Weather Widget. metoffice.gov.uk uses statse.webtrendslive.com to track usage of the Weather Widget. Essex Walks is a free site and always will be.